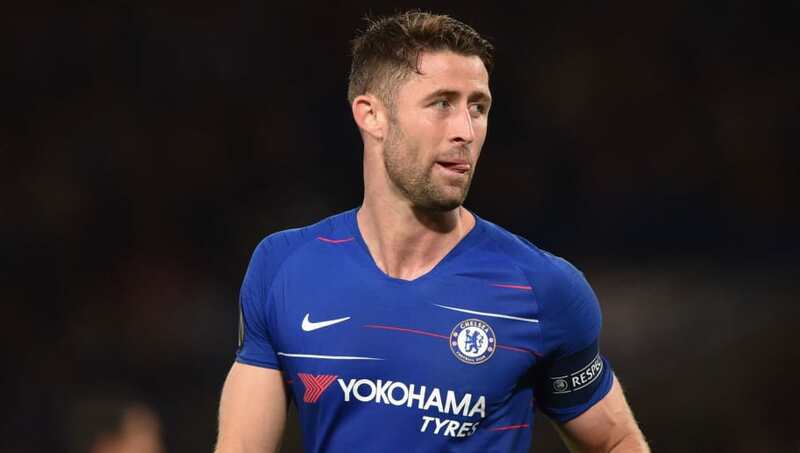 ​AC Milan have passed up the chance to sign Chelsea defender Gary Cahill, believing him to be too old for their transfer policy, according to reports in Italy. The 32-year-old has made just one Premier League appearance so far this season and looks unlikely to win back his place with Antonio Rudiger, David Luiz and Andreas Christensen ahead of him the pecking order. ​Cahill's contract expires at the end of the season but ​Chelsea will attempt to offload him in January, either permanently or on loan, and Cahill's representatives have been sounding out potential suitors. Calciomercato (via ​talkSPORT) reports that Cahill was offered to ​Milan, who have been defensively suspect this season, with only one team in the top half of Serie A conceding more goals than the Rossoneri. Gennaro Gattuso is seeking defensive reinforcements after Alessio Romagnoli's calf injury highlighted Milan's lack of strength in depth - forcing his manager to revert to a 3-4-3 formation against Lazio on Sunday. However, Milan have reportedly rejected Chelsea's proposal, with sporting director Leonardo not 'entirely convinced' that the move would be a good idea. Milan are looking to make their squad more youthful and Cahill does not fit the remit. Clubs in Spain and Turkey continue to monitor the former England international's situation though and a January move is still likely to happen - it just won't be to the San Siro. Cahill has played the full 90 minutes in Chelsea's last three Europa League ties and is expected to start against PAOK on Thursday.